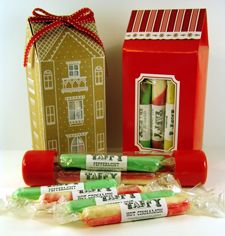 Mehlenbachers Taffy is a perfect fit for your corporate gift giving needs. All ages and all professions will appreciate your thoughtful gift. 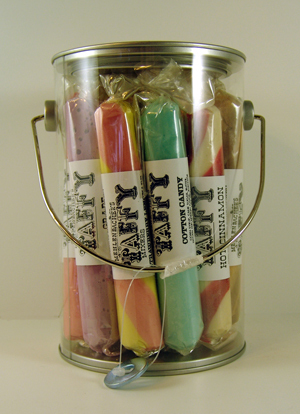 Our taffy assortments come in attractive boxes which make an attractive presentation for gift giving. Additionally with the many flavor combinations we offer, we have something to please every palate. 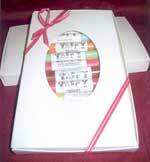 We also offer seasonal packaging. Below are some packaging combinations we have used in the past. Give us a call, and let us know what your budget is, and how many sticks you would like included in each gift, and we can develop the perfect custom packaged gift just right for you.